These are some of my custom Mach3 Screen sets I have designed for individuals who wanted something a little more user friendly and visually appealing. 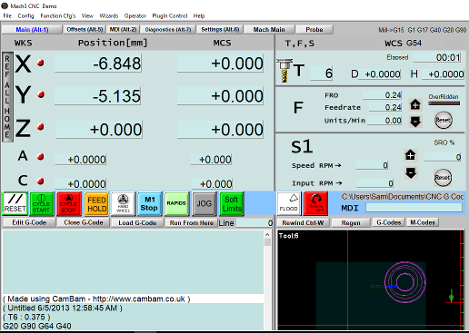 Features visual and dynamic indications for Flood coolant, Rapid override, Jog on/ off, Spindle , Tool changes, and M1 stops. Easily bring up the Jog pendant with a push of a button. 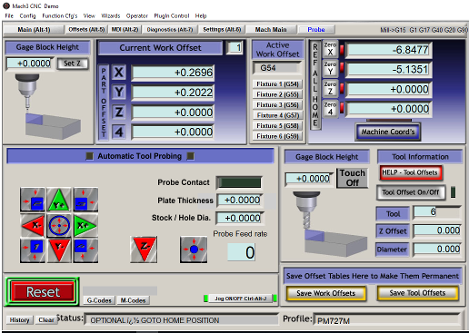 Features custom probing routines and screens for finding center, outside diameters, setting Z zero and corners. I think you will find these screens as useful as I have. Looking for a Auto Probing screen-set .